“Saxophonist Jon Irabagon is a subverter of the jazz form,” declares Martin Longley in his Irabagon feature in the August issue of The New York City Jazz Record. “He’s a revolutionary who’s secretly messing with the changes. He might be dismantling the music’s mechanics from the inside, but from the outside he can frequently persuade a crowd that he’s an old- school practitioner. There are few players who can so deftly stride from postbop to free improvisation, avant country to doom metal and then wander from chaotic collage-spraying to sleek-blowing fluency.” The winner of the 2008 Thelonious Monk Saxophone Competition, Irabagon has since topped both the Rising Star Alto Saxophone and the Rising Star Tenor Saxophone categories in the DownBeat Magazine Critics’ Poll and been named one of Time Out New York’s 25 New York City Jazz Icons. You’ll find more biographical information on Mr. Irabagon at the end of the following thought-provoking article. In late 2013, I decided to face a musical demon that had haunted me my entire professional career--record a solo saxophone record. My goal was to challenge both myself and anyone who would be willing to hear it. I wanted it completely on my own terms, using any and all methods I could conceive of in order to create new sounds, timbres and melodic fragments to make a statement that is wholly original. The process of creating what eventually became “Inaction is an Action” resulted in the most creative, fertile and focused period of growth I have experienced since my initial commitment to saxophone performance and improvisation as a career. My fascination with solo saxophone recordings actually began sophomore year in college, when afriend bought “Conic Sections” by Evan Parker. We sat in his dorm room listening to it over and over, wondering how in the hell he came up with those sounds. We started to hear patterns, shapes, textures and interweaving lines as part of a larger tapestry blossoming underneath all that circular breathing. Not only did he have complete mastery of the soprano saxophone, but Parker also, to me at the time, created his own universe of sound, form, dynamics and multiple simultaneous layers that I had never heard improvised before, let alone with no one else playing. I was completely hooked by “Conic Sections” and not only did I go out and buy every Evan Parker solo record I could find, but also solo records by Roscoe Mitchell, John Zorn, John Butcher, Ned Rothenberg, Lee Konitz-- basically any solo saxophone record I found I would absorb it. A solo artist's responsibility is to discover for him/herself what they find interesting and then to find a way to convey that to the listener. Every choice, every nuance, is in clear, naked view. In contemplating the initial form this record should take, I was daunted by the multiplicity of choices I faced: Should I aim for one continuous, extended piece, or several short ones? Should I go in and completely improvise in the moment, or write compositions and use those guideposts? Should I integrate the works of other artists, or only my own? What sonic and timbral spectrum am I trying to cover? Do any regions of that spectrum merit a thematic focus throughout the record? Are there any extended techniques that I want to ensure I utilize? Are there any that other solo performers use that I want to borrow? Are there any that I can come up with that I haven't ever heard employed before? The answers to these questions will vary from one artist to another, and I'm sure will even change from the same person at different times. But the answers combine to build a unique artistic statement. They allow the artist to create an original language to be used in other performance opportunities. In developing my solo recording, I not only had to answer questions about my philosophy of music and improvising, but also the tools, devices, forms and directions-- the nuts and bolts-- that would get me there. While all students of the music have to wrangle with these questions, the solo record forced me to face them in an unavoidable, head-on and immediate fashion. Early in the process I decided this record would be completely comprised of sopranino saxophone, a rarely used, difficult, tiny, pesky instrument. Since I acquired one back in 2009 it has always led to a mysterious combination of mirth and annoyance. There were two main reasons: one, there are a lot of solo saxophone records out there, and I could count on one hand the ones that even include sopranino, and two, I could approach the yearlong study as if I was learning a new and different instrument, hopefully ridding myself of any baggage or customary, tried-and-true methods I had adopted or picked up on the other more familiar saxes. I had just finished a record comprised of a dozen of my original straight ahead jazz compositions a few months before and I realized that the timing was right to work on my solo record; it would make a strange/perfect pairing to release possibly the most straight ahead record of my career alongside the most experimental. As it would take several months to work out the editing, mixing, mastering, artwork, packaging, liner notes, publicist, manufacturing, and distribution of the jazz record (“Behind the Sky”, for those wanting to hear it), preparing the solo album simultaneously during the postproduction of the jazz album seemed like an ideal fit. The stage was set to release them simultaneously in September 2015 (leading to the quote used at the top of this article). As part of my immersion into the solo world, I made a point to both brush up on all of the records I owned and to seek out new ones. I contacted Douglas Ewart, member of the AACM and all around badass, and discovered he released a solo sopranino CD with overdubs. I uncovered essential records by Europeans Wolfgang Fuchs and Lol Coxhill, Americans Sam Newsome and Jeffrey Morgan and Japanese altoist and sopranino slayer Karou Abe, and many more. In researching albums and finding these singular statements from around the globe, it became apparent that the solo genre is rich with searching and personality, no matter where in the world you are and no matter if you fashion yourself a “jazz” guy or not. The level of seriousness and single-mindedness is both inspiring and frightening, which is a rarefied and holy ground to attempt to join. In the long run, my playing and my consciousness have been elevated by this pursuit. This heightened level of musicality can be found in people like Steve Coleman and Lee Konitz, who seem to play solo in a manner that they would have whether there were other musicians there or not—a lineal, continued version of their playing found elsewhere. Others, like Charlie Evans, Jeremiah Cymerman and Douglas Ewart, used studio and overdubbing techniques to widen their sonic and compositional possibilities. Density and volume are definitely addressed and toyed with in solo albums by Axel Dorner, John Butcher, among many others. Steve Lacy took his sing-song melodic tunes and expanded on them with an openness and a zen-like patience that is completely hypnotizing, while Roscoe Mitchell's unabashed use of repetition and in-your-face slight variation cracked me up in the best possible way. And of course, there are countless variations of all of these in between and outside those lines. Studying the decisions each of these musicians (and dozens more) made while playing in the freest of settings helped me determine where I wanted my own music to go. More than in any other setting, you can hear and sense an artist's personality and their values in solo performance. This openness helped galvanize me to move forward and tackle what had previously been a specter lurking in a dark corner-- it was time to get to work on creating my own solo statement. I gave myself a clear deadline-- I would spend all of 2014 working towards an end-of-year recording in a large, reverberant church space in Chicago, Illinois. While preparing, there were a couple of different rehearsal spaces I rented for months at a time where I would attempt to make the loudest and screechiest noise for hours non-stop and there were solo shows at various clubs and loft spaces that I would try to make the tiniest of sounds from blowing into different openings on the horn or against the reed-- anything that would make some sort of noise. There were five hour long jam sessions with like-minded musicians that would yield a tiny kernel of something I had never heard myself do before, prompting me to run home to focus on expanding that kernel for the next weeks. I was always recording myself and listening back, taking notes on where I wanted to record to eventually go. All the while, I was touring with the Dave Douglas Quintet, playing shows with Barry Altschul's 3Dom Factor, and playing big band gigs and one-off shows in the city. The solo record was an extra element that I felt I needed to add to my playing, and that would (hopefully) add new dimensions and possibilities in my improvising and composition. Slowly but surely, during the shows with Dave and Barry, amongst the other performances I did that year, these techniques, sounds and textures started finding their way into my playing, adding different scope and possibilities to group improvising, as well as my own lines. Finding the willingness and carving out the time to focus on experimenting with new timbres and textures was not easy, but as the ball began rolling, there were new avenues of expression and more experiments to work on-- truly a long-term, expansive project. In the weeks leading up to the recording, I had prepared a sequence of short pieces that had some compositional and melodic elements that intertwined with the extended techniques I had been developing for the past year. Though overall loose and open, there were definite revelations that I had made that I wanted to make sure to document. Several solo public performances were made during this time, providing new insights with every show. On the day of the recording, I ran the program I had loosely created twice with a large break in between, and recorded several improvisations afterwards. The resulting record is a combination of moments from different parts of the day. Some of the techniques I employed to achieve the sound I was seeking include blowing into the bell of the instrument (as on What Have We Here), sound manipulation without the reed (Revvvv) and long sucking inwards coupled with reed manipulation (in the middle section of Hang out a Shingle), as well as slap tonguing, multiphonics, vocals, growling, exploration of extreme registers, circular breathing, biting the reed, playing without a mouthpiece, quarter tone and overtone manipulation, air/spit experimentation, and more. For every effect/conclusion that ended up on the record, there were about ten or so that I experimented with and, at the time of recording, hadn't found a way to successfully incorporate into my playing. Further, during the day of the recording, I realized that the actual sonic space (in this case, a large, reverberant church) could be used to create different spatial effects, some of which appear on “The Best Kind of Sad.” Another lesson was learned-- no matter how much you prepare, you have to keep your ears open to new possibilities that your surroundings can offer. The experimentation continues. Working on as many different things as I could think of or imagine led to many discoveries that Icouldn't have even dreamed of as I started out the project. I've learned more about myself and my direction in the past year than I have at any point in my journey. Of course, as a niche market, this record was never going to bring me money or fame. But that wasn't the point. This personalized, focused period of study and invention not only yielded immediate, diverse results, but also continues to influence both in-the-moment improvisatory decisions and future goals. Some of these techniques are currently getting worked into new compositions of mine, and have definitely changed the way I improvise in general, adding melodic or harmonic material to the timbral aspects I unearthed in this project. The reviews have been varied and, to say the least, mixed. It was heralded as “an utterly fascinating record” (Dawoud Kringle), “tremendous” (Pop Matters), and “a vexing, amusing and ultimately impressive recital” (Derek Taylor). Bad Alchemy Magazine offers, “it has been a long time since I've been more amazed.” On the complete flip side, Buffalo News says “it is close to what the Village Voice used to characterize nicely as a 'must avoid'”, the original critic that the New York City Jazz Record asked to review it begged off of the assignment saying “I cannot find anything positive to say about this record; please don't make me review it!” and Jazzwise Magazine gives it the least amount of stars possible and finds a way to call out critics who like my playing. Whew! So, what do we take from this? More than any other album I have created, this polarizing recording has been either liked or despised by whoever hears it-- no shrugs or questionable glances here. Regardless, I am content knowing that for me personally, engaging in the spirit of search, adventure and risk-taking to prepare this recording changed my outlook of future possibilities; it adjusted my view of new directions I can go in my role with improvising groups. But most importantly because of the work, introspection and focus I put into the solo recording, I know that I've gotten a little bit closer to finding my own voice. The all-inclusive and try-anything approach that marked this period of growth led to several new techniques/sounds that I now incorporate into my alto, tenor and soprano playing in all contexts. If one arrives at a personal sound and voice through hard-earned experimentation, can or should that voice be completely comfortable for everyone out there? And, if that personal voice turns out not to be a “mainstream” one (in this lifetime), should they try to change it to fit in? This is a whole different discussion for another time, but, as an artist, isn't that a secondary consequence for finding that voice in the first place? What is more important, the journey or the destination? 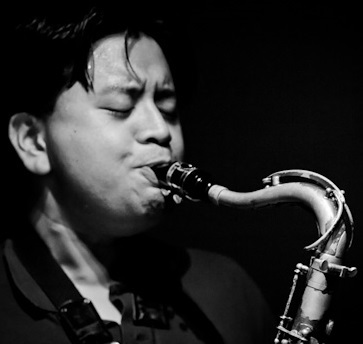 Jon Irabagon was named 2012 Musician of the Year in The New York City Jazz Record. An integral member of such high-profile ensembles as Mostly Other People Do The Killing and The Mary Halvorson Quintet, as well as an established bandleader in his own right, his list of current projects includes the bands Bryan & The Haggards and Mike Pride’s From Bacteria to Boys as well as a longstanding partnership with legendary drummer Barry Altschul and Dave Douglas’ new quintet. For Perpetual Motion, a project of Moondog arrangements, Jon (along with French saxophonist/clarinetist/composer Sylvain Rifflet) has been awarded a French-American Cultural Exchange grant from the Mid-Atlantic Arts Foundation, with generous funding from the Cultural Services of the French Embassy, Doris Duke Charitable Foundation, Florence Gould Foundation, The Andrew W. Mellon Foundation, Institut Français, Ministère de la Culture et de la Communication, and Société des Auteurs et Compositeurs de Musique (“SACEM”). In addition, Jon has received a 2012 Mabuhay Award by the National Association of Filipino-Americans and a 2014 Philippine Presidential Award. Jon’s own record label, Irabbagast Records, has currently released five of his efforts, including I Don’t Hear Nothin’ but the Blues Volume 2: Appalachian Haze (with Mike Pride and Mick Barr), Outright! Unhinged (with Ralph Alessi, Jacob Sacks, John Hebert and Tom Rainey) and It Takes All Kinds (featuring Mark Helias and Barry Altschul), and most recently, the dual release of Behind the Sky (featuring Tom Harrell, Luis Perdomo, Yasushi Nakamura and Rudy Royston) as well as Jon’s first solo saxophone recording, Inaction is an Action.